•Research the international fees that your bank charges for debit card usage. Capital One 360, what I am currently using, has no international ATM or foreign charge fees. •Buy groceries and snacks. Not every meal needs to be eaten at a restaurant! Plus, this will come in handy if you get hungry late night in the dorms. •Share supplies (and split costs) with your friends and roommates. Tide pods, dish soap, and toilet paper can go a long way when split between people. Plus, sharing is caring! •Doing laundry can be expensive in some countries. If you don’t have a full load to do, consider splitting the cost and load with a friend. If you only have a few items, hand wash and hang to dry. •Avoid taxis by using public transportation when available. When I was studying abroad, a cab to the airport was €50 ($58). Although a longer commute, using public transportation for the same route was only €11 ($12). •When using ATMs, it’s better to take out a few large sums rather than many small sums. Most ATMs charge a service fee for each withdraw. •If your bank allows, choose to pay in the country’s currency (rather than USD) when using a debit card. Normally a conversation fee will be applied if you pay in USD. 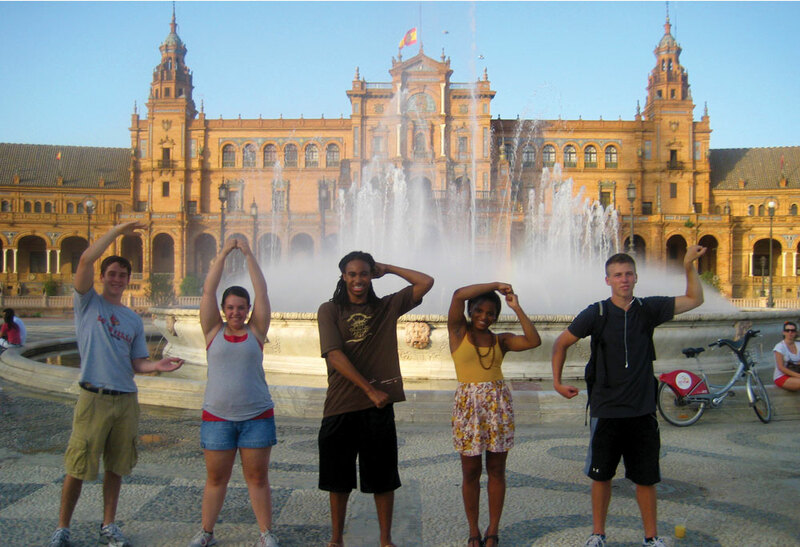 Studying abroad should be fun and stress free, but it’s still important to be responsible with your money. Be aware where your purse/wallet is at all times and let your bank know you’re traveling internationally before you leave.